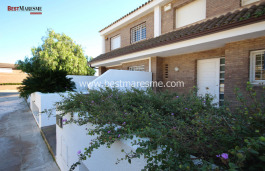 Fantastic luxury house for sale distributed on one floor plus basement and garage, located in a residential area near town center of Cabrera de Mar, having excellent views of the sea. 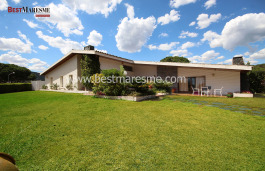 The house has 280 m2 living surface built, on 2480 m2 plot, having a beautiful pool. 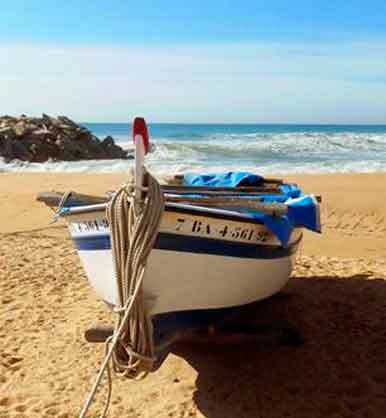 The property is situated only 150 meters from the coast line natural park, a very quiet place only 30 km from Barcelona, where you can have pleasant walks in a healthy and unbeatable environment enjoying beautiful views of the Mediterranean Sea. Distribution: On the main floor of this luxury house, is a spacious two-roomed living room with fireplace. It has large windows and access to a comfortable covered porch where you can have breakfast, lunch or dinner with family or friends. A beautiful garden planted with flowers, trees and different types of vegetation and enough room to plant an orchard. There is also another porch. On the same floor, spacious, bright and practical kitchen with dining area and separate laundry room. On the same floor there are 4 double bedrooms, a master suite with a large and spectacular bathroom having an hydro massage bath and shower and another fully equipped bathroom, all rooms of this house have large fitted wardrobes and air conditioning and three of them have large windows with access to a beautiful terrace overlooking the sea. Additional features: Alarm, fantastic garden having an automatic watering system, pool, barbecue area and porch, security aluminum enclosures, heating, air conditioning. 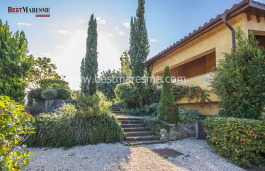 This house for sale in Cabrera de Mar also has solar panels for sanitary water, a large cellar and a garage for three vehicles, plus a spacious and diaphanous room.